When you watch a great film in a movie theater, the experience is often unmatched. You enjoy every scene, every dance step, every action, and the dialogues because it is presented on big screen, and the audio quality associated with every scene of the movie is exceptional. With the technological advancement in recent years, this powerful set up is no longer limited to movie theaters. You can get that same experience at your home, and it all starts with an AV receiver. Connect your music system and television with an AV receiver, and enjoy the theater-like feel at home. If you're looking for a stereo receiver check out our buyers guide. This stylish receiver from Denon features 8 HDMI inputs and 3 HDMI outputs, as well as a 9 channel amplifier section with each channel processing up to 150 watts of sound power at an impressive 9 ohms and .05% THD. The 11 speaker terminals are all color coded for convenient hookup and they’re able to handle a variety of cable terminations. The receiver also features chic vintage details and sleek front panel buttons to adjust the settings, while you can also control it remotely through your smart mobile device using the Denon Remote app. Apart from the external aesthetic appeal, this receiver is fully equipped with a plethora of superb internal features, such as 3D surround sound, Dolby Atmos and the ability to decode DTS: X, a program that allows you to enjoy a fully encapsulating surround sound experience. For video playback, there’s HDMI 2.0a and HDCP 2.2 which enable you to convert SD and HD content into 4K Ultra HD quality, while the 4:4:4 Pure Color pass-through delivers high-res color from advanced video quality content sources. Your streaming needs are also taken care of with this receiver, as it comes with in-built WiFi to wirelessly stream audio content from your favorite platforms like Tidal, Spotify, Pandora etc., while the Bluetooth feature allows you to pair with, and remember, up to 8 mobile devices. It is also optimized to play content from iTunes via iPad and iPhone devices, and has the ability to play content from PC computers including MacBook laptops through DNLA 1.5 compatibility and a front-panel USB port. Setup on this receiver is quick and easy, thanks to the intuitive on-screen Setup assistant which is complemented by the convenient Quick Setup guide. The multi-room features allows you to enjoy and share music with your guests across different rooms in the house, through remote stereo sound capabilities. Audio heads will be happy to know that this receiver comes with dual subwoofer outputs so that you can enjoy quality bass sound. This receiver comes with a whopping 11.2 channels, all optimized to handle up to 140 watts of sound power with very little sound distortion and low impedance to create an epic surround sound experience. The addition of a digital-to-analog converter from Asahi Kasei filters the sound further to get the best out of any and all audio formats, from the antiquated to the modern, including MP3, WMA, AAC, FLAC, Dolby HD and more. It features 8 HDMI output and 2 HDMI input terminals, some of which support 4: 4: 4 Color Space, Dolby Atmos and 4K/ 60Hz video. These feature High-Dynamic Range and BT. 2020 support to fully enjoy your Ultra HD 4K content, and experience vivid color and spectacular picture detail. This receiver runs noiseless due to Vector Linear Shaping Circuitry, while the THX feature ensures smooth sound and low distortion, even on really loud volumes. If you enjoy online music streaming, then you’ll enjoy playing new tracks from Spotify, Pandora and TuneIn, which are all built-into the receiver and can be accesses from your phone through the Onkyo controller app. It also comes with built-in Bluetooth, WiFi and Airplay, conduits which allow you to stream music from any PC or tablet. The receiver also features AccuEQ, which works to calibrate the sound and customize it to your space through phase-matching of the speakers, which accurately reproduces the sound for your full enjoyment. It also comes with multi-zone optimization to distribute and deliver accurate sound across multiple zones or rooms within the house. All in all, this receiver delivers gorgeous sound and completely transforms the average home entertainment into a world-class performance to wow the senses. This is yet another great 11.2 channel receiver from Onkyo, and this one comes with a 135 watt power processing capacity with each channel, and the ability to deliver superior quality and soul-stirring sound. Wide Range Amplifier Technology further enhances this feature with custom transformers and amp blocks that deliver clean but dynamic sound. It comes with 3D Pass Through and is able to process 4K quality video at 60 frames per second, while powering up a floor-to-ceiling Dolby Atmos surround sound experience that feels as if you’re at a commercial theatre or professional music production studio. The receiver is THX certified to balance the sound across different volume levels, and has the ability to process high-res sound from even complex audio sources like Super Audio CD. This is done through the use of powerful 32-bit processing engines which also have the capacity to effortlessly process sound from multichannel studio-master soundtracks. It also comes with three transformers, seven high-end 32-bit converters, as well as a separate amp and processing blocks. It allows you play music in every room using three HDMI outputs including a sub-out to connect a projector, and built-in WiFi, Bluetooth and free control app complete the package with high-res audio streaming across a wide range of streaming platforms and devices. So you can enjoy online streaming directly from the receiver, or your own private playlist in your mobile devices. This receiver from Sony comes with 9.1 channels that feature 130 watt sound power output at 8 ohms and 0.9% TDH. It has nine HDMI inputs, with eight on the rear and one upfront, as well as three outputs that enable advanced HDMI facilities. It’s optimised to deliver Dolby Atmos surround sound quality, and comes with DTS: X for up to 11.2 channels. The chassis has also been developed to contribute to the excellent sound quality with solid internal circuitry. Other features include HDMI with HCDP 2.2 support with 8 convertible channels, as well as 4K upscaling and passthrough that allows you to enjoy 3D visuals and cinema-quality on movies like Avatar, while producing rich and vivid color and image detail. The design has been streamlined with a smooth matte black surface, reinforced construction and an interactive interface, and features gold-plated speaker terminals for easy hook-up. 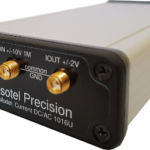 It comes with a programmable remote control for ease of setup and use, and a large power transformer and a Linear Wide Band Power Amplifier. There’s also an 8-Port Ethernet switch with PoE, Sony Music Connect that links it to other networked music players to access music streaming, as well as an easy setup through either USB thumb drive, on-screen display or web browser. And lastly, the multi-room tuning feature allows you to enjoy accurate reproduction of audio with incredible quality. Yamaha is a well-known brand that’s been delivering high quality sound solutions for decades, and it certainly doesn't disappoint with its latest offering. It blends legacy engineering with all the modern bells and whistles like Ultra HD 4K passthrough and upscaling, along with HCDP 2.2, HDR and BT. 2020 support. It’s also kitted out with the remarkable Dolby Vision, Dolby Atmos and DTS: X processing capability at 9.2 channels, which means high-res playback in realistic Hollywood commercial cinema quality. The awesome design includes an Aluminium front panel, a protective double bottom chassis and an H-shaped cross frame and symmetrical amplifier layout for easy operation. It also features progressive MusicCast to to distribute and deliver high quality sound throughout nine additional rooms. It comes with 10 HDMI terminals, with 8 inputs and 2 outputs, as well as a phono input through which you can connect and play music from your turntable. And while you’d normally control the sound from the Main Zone, with Yamaha’s advanced HDMI Zone Switching, you can perform all playback functions from a secondary Zone. It also comes with in-built WiFi to enjoy seamless streaming from music services like Tidal, Deezer and Spotify, as well as thousands of online radio stations like SiriusXM. Alternatively, you can use the Wireless Direct feature to stream music directly from your tablet or smartphone using AirPlay or the AV Controller app. You can also use the latter app to control the receiver and benefit from all its functions, including the assortment digital sound filters. Using careful angle measurement, 64-bit precision EQ calculation and YPAO, this receiver actually optimizes the sound to your room’s acoustics, creating a customized audiovisual experience. Through the front panel USB input, this receiver is also compatible with a variety of audio receivers like high-res audio codecs, Dolby True HD and DTS-HD Master Audio to name but a few. Another interesting feature is the CINEMA DSP HD3, which works to enhance the sound quality to a realistic level through enhanced vertical dimensions. Other features include high-performance digital to analog conversion, Bluetooth, AirPlay and SpotifyConnect. 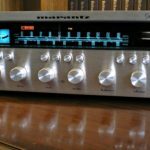 Yamaha fans will love this receiver, with its signature engineering and fabrication with meticulous attention to detail. It’s a 7.2 channel receiver with high-res audio visual playback capabilities and access to the best in streaming services like Pandora and Rhapsody. It also features MusicCast to enjoy the ultimate entertainment experience in multiple zones throughout your house. Advanced HDMI Switching on the other hand, allows you to operate playback options from a second zone apart from the Main Zone through an on-screen graphical user interface. It has Ultra HD 4K video pass through with 60 frames per second and 4K upscaling, and can produce enhanced video production through HDR video. For audioheads, high quality high-res audio is available through compatibility with Dolby TrueHD, DTS-HD Master Audio and codecs such as Apple Lossless/ AIFF/ FLAC/DSD.it can also restore the integrity of previously compressed music formats like MP3, to truly realize the sound’s highest potential. Plus, the combination of Dolby Atmos with DTS: X creates a stirring and room-filling surround sound experience to complement and enhance and those Ultra HD 4K visuals. The famous YPAO- R.S.C feature still provides accurate acoustics through Reflected Sound Control, which calibrates and optimizes the speakers to deliver a sound that is customized to the listening area. The symmetrical layout of the amp has been designed to enable better signal to noise ratio through the precisely planned circuit routing. With this receiver from Pioneer, you can enjoy multidimensional entertainment with high quality audio and visuals. It features Dolby Atmos and DTS: X audio to cater for all your surround sound needs, producing realistic sounds from the faint whisper of a water fountain to an accurate and soul-stirring reproduction of your favorite movie soundtrack. Dolby Atmos’ 3D surround sound capabilities are further enhanced by the Reflex Optimiser feature, which works to match the basic tone between high directivity sound reflecting from the ceiling and low directivity at ear level. What you’re left with is a unified and all-encompassing sound. The receiver also features full 4K passthrough in Ultra HD quality, supported by HCDP 2.2, HDR, 4: 4: 4 and BT. 2020 for enhanced and lifelike visuals that capture each and every detail of the picture. Another upgraded feature is the 384kHz/32 bit DAC which delivers superior music playback from compressed MP3 files to Hi-res audio. In addition, this receiver comes with 7.2 channels, each with the capacity to handle 170 Watts of sound power while producing crystal clear audio with near-perfect sound reproduction through 0.9% THD, 1kHz and 1 and 2inch driven FTC. It also features a Phono input for you to play and enjoy vinyl records on your favorite turntable, as well as dual-band WiFi to connect with all your favorite streaming services like GoogleCast, Deezer, Tidal and TuneIn. The GoogleCast feature specifically, enables you to ‘cast’ content like music, radio and podcasts directly from your mobile device to your speakers, while multi-device compatible casting apps give you remote control access of the audio from anywhere in your house. It’s also Bluetooth enabled to wirelessly play music from your smartphone or tablet, and has a front panel USB outlet to connect your PC or laptop. Future developments will also activate FireConnect which will allow the receiver to stream audio through a wireless Pioneer speaker. The customized Multi-Channel Acoustic Calibration System feature transforms your space into a recording studio with careful audio balancing of the different sound level emanating from the unique speaker sizes. It basically calibrates the speakers to travel throughout the space and create a customized listening experience regardless of the volume level or speaker size and distance. Phase Control further synchronizes the sound by closing the interval delay between the subwoofer and main channel speakers. This is an entry-level receiver from Sony is not only accessible, but features a bevy of all the features you’d expect from a good quality modern receiver, in keeping with technological trends. It’s got the capacity to support Dolby Atmos and DTS: X based 3D surround sound audiovisuals, Ultra HD passthrough with 4K compatibility, HDR and HCDP 2.2 support, as well as 7.2 channels with 165 sound processing power at 6 ohms, 1 kHz and accurate sound reproduction with 9% THD. Rear surround channels that enable you to transform your 5 channel system into a 7 channel arrangement. With Digital Cinema Auto Calibration, this receiver is able to fine-tune the sound to mimic the immersive experience of deliberately positioned and angled speakers, with smooth sound that seems to emanate from the entire room. As if that weren't enough, High-Resolution Audio compatibility makes for a recording studio quality sound that feels as though the artist is performing in your living room. Luckily, the receiver is compatible with a number of High-Res formats, including native DSD up to 5.6MHz, MP3, AAC, high bit rate 192k/24-bit WAV/FLAC audio playback, FLAC and more. The Wireless Multi-Room features ups the ante with voice recognition, which means that you can remotely control the music playback just using your voice, including functions like song-skipping, switch-off and volume changing. It even comes with built-in Chromecast from Google, a feature that allows you to cast content like video, podcasts and more from online platforms and apps. You can also connect with dual-band WiFi to stream any of the tracks stored on your devices or home network. Other features include Bluetooth audio streaming through the SongPal app, which enables you to use your iPhone or Android device as a remote control to operate the receiver’s settings from anywhere in your home, including remote Spotify music streaming, input selection and volume regulation. The Music Service button on this app even allow you to pick up where you left off and return from the last track you were playing. Otherwise, you can setup and operate the receiver through the intuitive front-panel graphical user interface, or the included remote control. An AV receiver is the most important part of your home theater. The work of an AV receiver is to receive the information, and direct it accordingly so that every part of your home entertainment system works in a synchronized manner. When a movie is played in a Blu-ray player, the audio and video information is sent to the AV receiver. The AV receiver processes, and further distributes the allotted audio signals to the speakers, and the assigned video signals to your television or projector. The AV receiver can also be used to play on internet radio, podcasts, music, etc. While choosing the right AV receiver according to your need, do your proper homework. Research it on the Internet or experience the various options physically. You should look for whether AV receiver is 4K enabled or whether HDMI ports are there. If yes, then ask how many, and its capacity to connect, the price, and much more. There are many AV receivers available in the market, and within a wide range of quality and price. You should choose which one fits your needs and preferences best. Although the prime use of an AV receiver is to channel the audio to different speakers, they are less used for processing the video. An AV receiver simply receives the video signals, and pass them to the television without affecting its quality. You should see that the HDMIs support 3D and 4K videos. Having a Wi-Fi and Bluetooth connectivity option in an AV receiver is very important. The presence of Wi-Fi helps you connect to internet radio stations like Spotify, and Pandora. You can also transmit audio signals to Wi-Fi speakers installed in another room. The Bluetooth connectivity in AV receivers helps you to stream audio from any app. In order to stand out from others, every AV receiver comes with their own list of supporting codecs. But, Dolby True HD and DTS-HD are the two most necessary, and most common codecs that every AV receiver has or should have. These codecs help you get seamless theater-like surround sound. 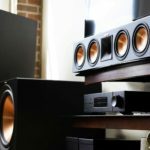 To get the best sound from an AV receiver, it requires the placement of speakers, their arrangement, and how well the levels mix on every channel. Every room faces different acoustical challenges. To overcome these challenges, a room calibration tool can be used. While calibrating the room, a microphone is placed in the center of the home theater system. When audio is played, the channels are automatically adjusted by an internal processor. Although your ears will make the final adjustments, this tool provides a better starting point. Every AV receiver will offer you the option of 5.1, 5.2 or 7.1,7.2 as the number of channels supported by it. Here, channels simply mean the number of speakers along with the number of subwoofers. 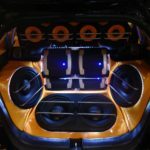 .1 or .2 defines the number of subwoofers. A five-channel receiver usually has channels for surround left, surround right, front center, front left, and front right. A 7-channel receiver has two extra channels, i.e., overhead right and overhead left or backward right and backward left. It depends upon you which one you choose for your room. You usually listen to songs that are mixed into two channels – left and right, and is known as the stereo mix. In a 5 or 7 channel mix, you can not only hear all instruments but can easily determine their position on the stage. Most of the codecs of surround sound formats are developed by Dolby or DTX. 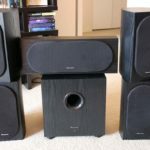 The most common format still used is 5.1-channel surround sound, so even in your 7.2 channel Audio receiver, there are chances that you will be using a 5.1. Sound engineers mix the soundtracks according to this format. So, the AV receiver should decode these formats. Now, more sound directors have started using Dolby Atoms, and DTS X which are 7.1-channel surround sound. In future, this format will become more common. It simply denotes how many inputs and output connections your AV receiver has. If the number is more, it will be more beneficial as you can accommodate multiple devices like a gaming system, TV, iPod, speakers, etc. For example, an AV receiver through input will receive a TV’s sound signals, and through the output, it will send those signals to speakers. To handle all your devices, your AV receiver should have enough inputs and outputs. Moreover, you should consider your components also. If they are old, they might be using analog connections. The AV receivers have mostly digital connections, and they provide better audio and video quality than analog connections. So, if you want to get the best quality from your HD device, connect it to the receiver using an HDMI connection. The power determines the dynamic, and detailed sound delivery. While choosing an AV receiver, go for a high-wattage one because it will provide better sound quality than the one with less-wattage. With a high-wattage receiver, you will get better sound quality even at medium and low volumes. 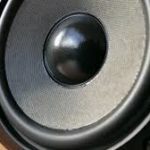 The AV receiver should be powerful enough to put up both the connected speakers, and the room where the receiver is installed. The volume (decibels) per watt of speaker determines the power required by the receiver to match specific speakers. Making it simpler, the larger the room, more power is required. Some new models of AV receivers feature Airplay compatibility. This feature allows the user to stream music wirelessly to the receiver, i.e., from iOS devices like iPod, iPhone or apps like Pandora. If you have iOS devices, then it is worth it to go for this type of AV receiver, otherwise, save yourself some bucks and skip it. Take note of the size of the receiver because most of them are big in size and box type. You should see that the one you are buying should fit the space where you want it to be placed. Normally, the size may go over 17 inches deep, 10 inches tall, and 20 inches wide. If you are more interested in connecting the old devices like VCR or old video game console, you should look for analog audio and video inputs, composite inputs, and component inputs in your AV receiver. The various companies may offer different warranties for each type of receivers. Most people want a long warranty because they want their AV receiver to last as long as six years to ten years. It is a fact that AV receivers are not simple devices. So, it’s no surprise if you get any problems. In that case, the manufacturer should provide the required help. The best are the educational resources which make you a master of home theater system.